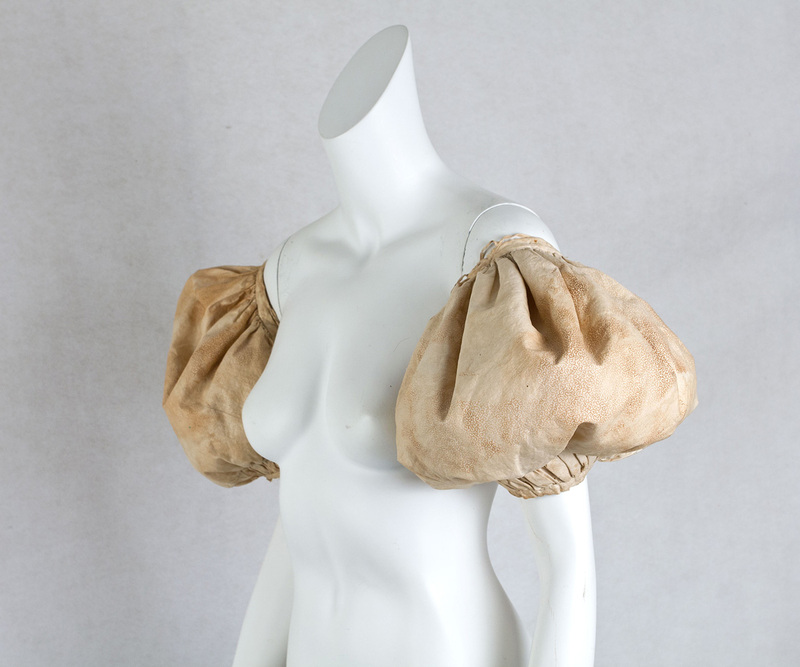 Sleeve pads, or sleeve plumpers, were worn under dresses in the 1830s to support the fashionable large balloon sleeves. 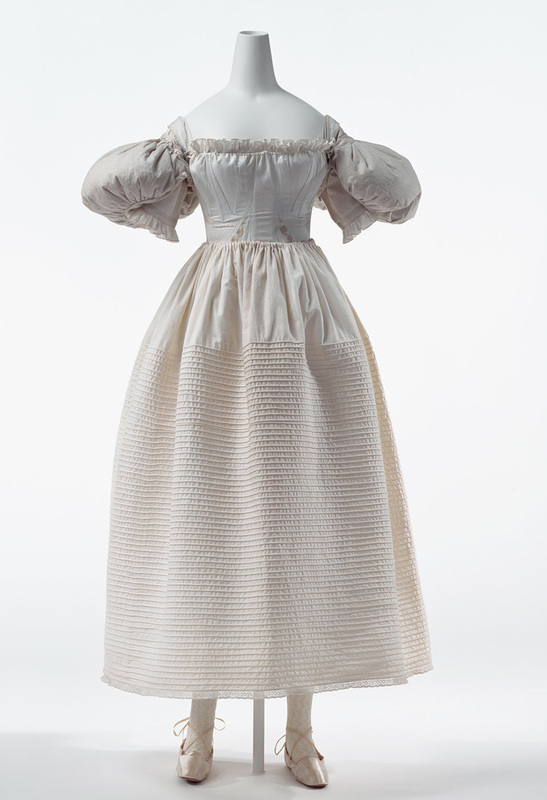 The picture below, from the Kyoto Costume Institute, illustrates an entire underpinnings ensemble from this period. 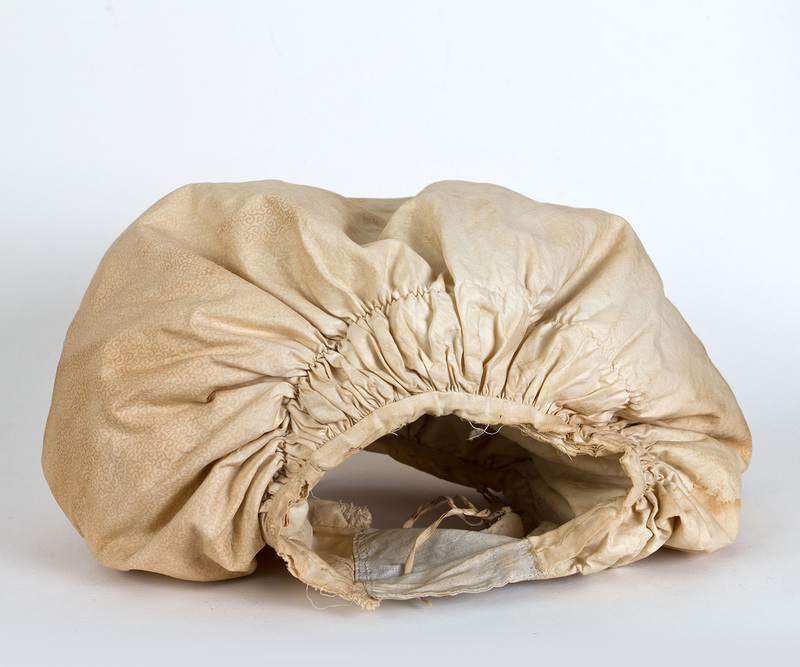 The pads were worn slightly below the shoulder. 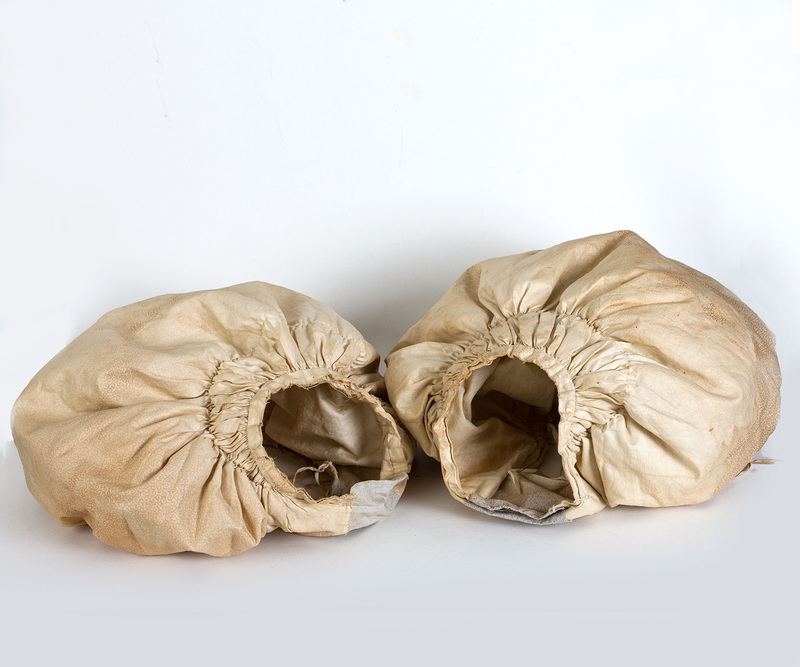 Intact sleeve pads are very rare. Found in an old New England house, this pair has been held in a private collection for many years. This is the first time they are being offered to the public. 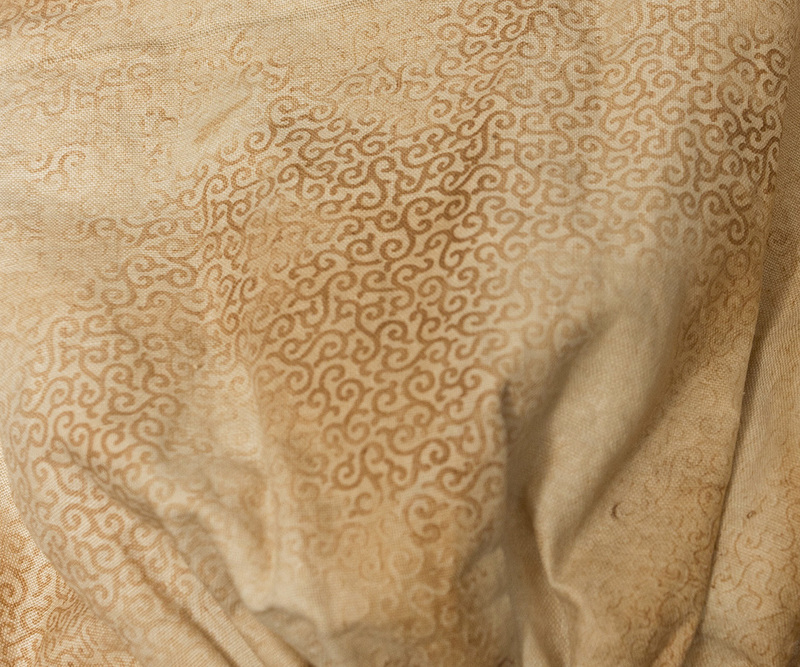 Our sleeve pads were fashioned from lightweight cotton printed calico. The charming printed pattern has mostly faded with time, leaving behind a tantalizing glimpse of the cheerful calico design. 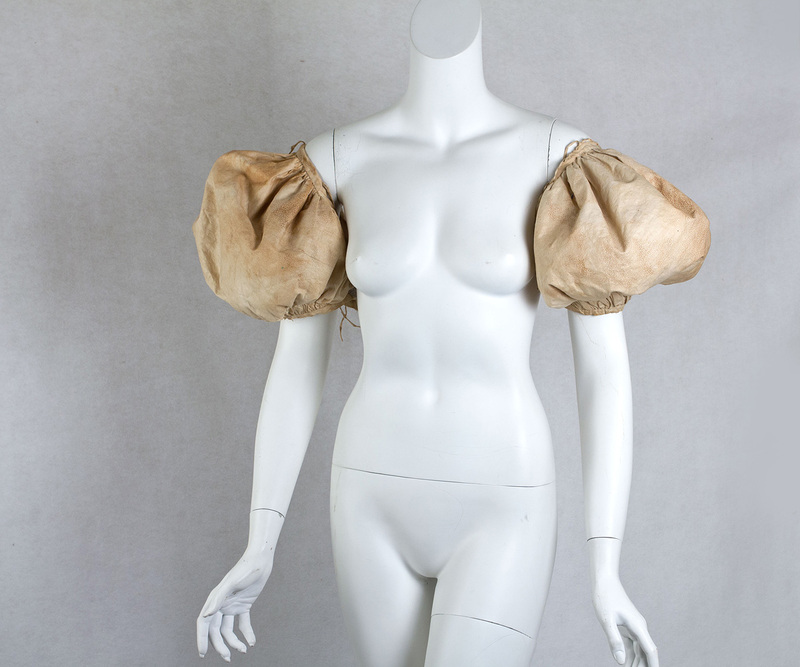 The lightweight sleeve pads are stuffed with down feathers. 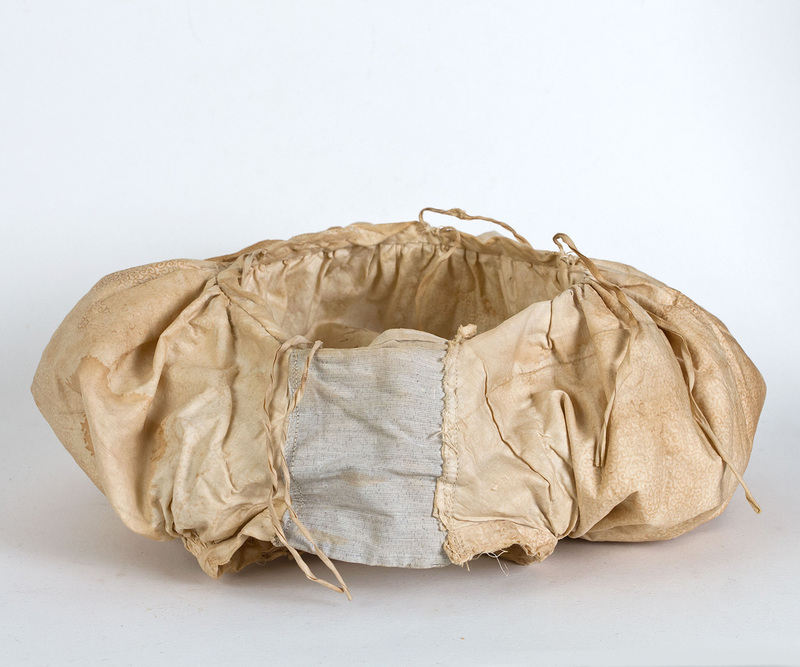 The pads still have the original series of string ties used to secure the pads to corresponding ties on the corset. The pads are hand stitched and all original except for replaced fabric added to the underarm area. 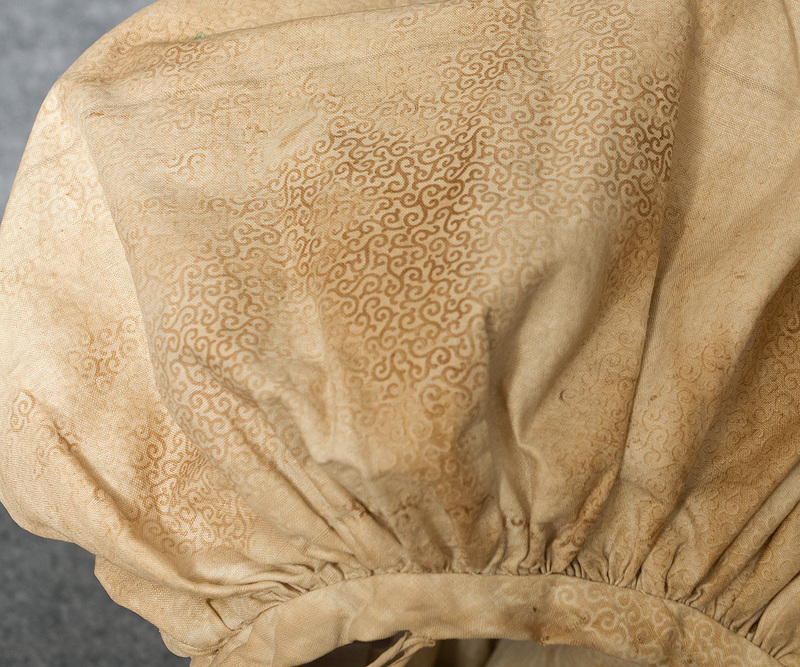 This very old alteration may have been done as early as the 1840s to replace stained fabric or to increase the size. The pads came from the Boston area. 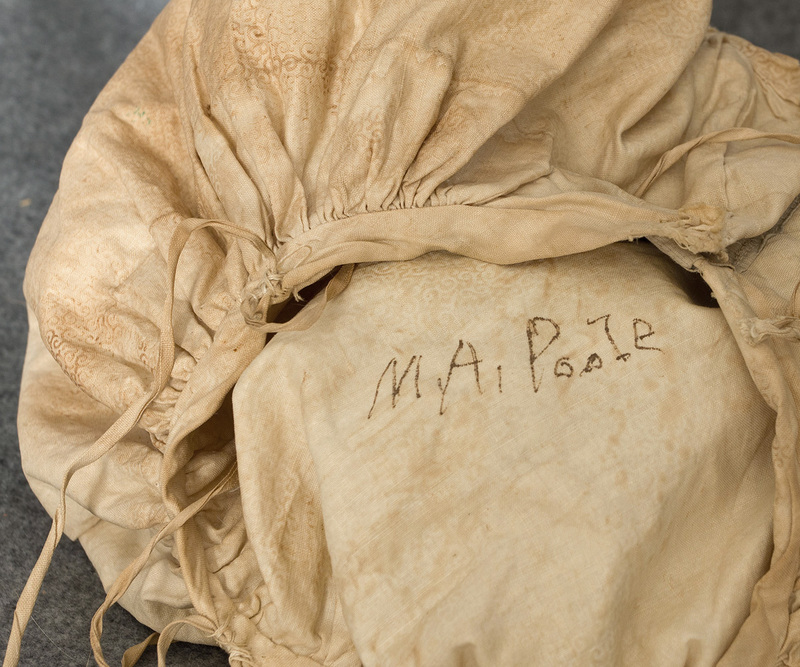 Each pad bears the name—marked inside in ink—of the original owner, M.A. Poole. A common surname in England, Poole was already well represented in the Boston area by the 1630s. We know of the family of Edward Poole, who in settled in Weymouth before 1635. If you enjoy genealogy, you could have fun researching which Boston area Poole family included a female with the initials M.A. in the 1830s. That research project could double the value of your investment!